Meditation or medication? Today, more than ever, it’s a choice that many of us have to make. We live at a time of great distraction, and terrible health influences around every bend. When I walked into the restaurant where I’m writing this, I strolled past a glass case of desserts where there was a rice crispy bar made out of Fruity Pebbles that I swear called my name. It’s a different world, and we have different means for coping with it. Exercise, great food, great sleep, great companionship… all of those things lean towards creating a healthy, successful life. But I feel that one of the greatest tools we have available to us still isn’t talked about enough. That’s why I wanted to do this brand new episode. Meditation has been found to reduce your risk of heart attack (The Stroke Journal, 2009), reduce symptoms of anxiety and depression (Psychosomatic Medicine, 2009), increase focus and attention (University of Wisconsin-Madison, 2007), improve your libido (yep… The Journal of Sexual Medicine, 2009), and so much more. What medication can do all of these things? Let me answer that for you… none of them. Why then isn’t meditation being prescribed and utilized more often? I believe it’s due to some strange stigmas we might carry about it. I know that I was apprehensive about meditation before I knew what it actually was (and experienced the benefits). There are definitely a lot of myths about meditation that we need to clear up. So, that’s why I invited on one of the best meditation teachers in the country, Light Watkins. Click play, listen deeply, and enjoy! The #1 way to improve your focus in a hyper distracted world. How meditation literally changes your brain. Why stereotypes exist in the world of meditation like everywhere else. How helping people to experience more joy is one of the major solutions for all of the civil unrest today. Why achieving more things doesn’t necessarily equate to happiness. The 5 biggest myths about meditation. Why meditation can mean a lot of different things to different people. The difference between meditation and meditative. The difference between monastic meditation and meditation for those who are householders. Why meditation is surprisingly similar to exercise. Why a busy mind during meditation can actually be a sign of progress (you have to hear this!). What the E.A.S.Y. approach to meditation is. The logical reason why comfort during meditation is so important. Why there’s similar stigmas about meditation and dieting. How meditation can be so impactful on sleep quality. Whether or not it’s ideal to meditate right before bed. How meditation can influence patience and awareness. Why the progress in meditation happens outside of meditation. Why meditation is the only thing that can refund you your time back (this is fascinating!). What spontaneous right action is. Why it’s more than ok to experience unhappiness and negative emotions. Bliss More ⇐ Get the new book right here! Listen, I've said this over and over again, but this is something that I think a lot of people glance past. You know, my story is really interesting coming from a place where being diagnosed at the age of twenty with a so-called incurable spinal condition, and told by my physician that I had the spine of an eighty year old man when I was just twenty, and the struggles that came along with that. And seeing my life transform from that place to of course a full recovery, but not just that, being able to share my story, and to find a way to serve the many, many people over the years in a one-on-one context, and now millions at this point through all the other things that I've been a part of, it's just really remarkable. And if I was to tell you the one thing that has helped to lead me from where I was to the man that I am today, I would say it'd be meditation. You know, food matters a lot, and I love food, and being a nutritionist starting off, that was really my moniker like, 'Food matters, food is everything,' and it's not. It's definitely a gateway for a lot of us, but understanding that it's really the inner game, you know your inner world, and having a connection with that, that can really open things up. But here's the thing, we're not going to get into the airy fairy- you know, I love this statement. This was from Michael Beckwith that said that, 'Sometimes you could be so airy fairy that you're no earthly good,' alright? So we want to bring some relevancy to this today. And so I want to share with you guys a couple of studies. So this was published in the journal 'Brain Research Bulletin,' and researchers discovered that people trained to meditate over an eight week period were better able to control specific types of brain waves called alpha rhythms. Alright, so literally getting your brain into this alpha state. Alright can you use a little bit more attention in your life? Can you use less distraction? You know, today we live in the time of the Great Distraction. We had the Great Depression, Great Famine, today it's the Great Distraction. Alright we've got WMDs; weapons of mass distraction. Alright so this is helping your brain literally to be able to buffer those things to be able to focus on what you want. Also researchers at Harvard Medical School found that meditation alters the structure of your brain, literally like changes the structure of your brain, and thickens regions of your brain associated with attention and sensory processing. You literally can change your brain, you can create a better brain with meditation. How powerful is that? And finally, I'll share one more study with you guys related directly to a health implication. This was research at the Medical College of Georgia in Augusta found that meditation lowered blood pressure and reduced risk of heart disease and stroke. And you know, there it is in black and white, you know? We've got studies on meditation for lowering autoimmune issues, for reducing your risk of diabetes, you know just on, and on, and on. The research is really fascinating. But today we're talking about not just the benefits, but how do we get this right? Because the reality is the landscape of meditation can be a little bit complex, and so I brought on the perfect person to help to bring this back to simplicity, and he's got an amazing story, he's an amazing human being, and I'm very grateful to have him on. Before we do though, I want to give a quick shout-out to our show sponsor, Organifi. Alright let me tell you how important greens are. If you look at the structure of human blood, you know the red blood cell, it's really, really fascinating when you look at the structure of chlorophyll, right? The kind of green blood of the plant. It is remarkably similar, and actually we'll probably put it up on the screen for those watching the video - and make sure you watch the video so you can see our handsome guest as well. But we'll put up the structure and actually show you the difference. It's very minimal, you know? When you look at our blood versus the plant blood, and it just kind of tells you there's this similarity in nature that this is something that we need. 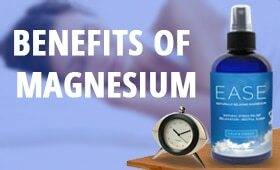 And the structure is pretty much the same except for us, the human blood, the red blood cell is built around iron whereas the chlorophyll is built around magnesium. Alright? But the structure is almost exactly the same. It's really, really fascinating. And so here's what we've found out through science is that this green life blood of the plant actually helps to do a lot of the things that our hemoglobin can do, right? So hemoglobin is about 96% of the dry weight of your blood, alright? Of your red blood cells. And so this is responsible for transportation of oxygen throughout your system, detoxification of your organs, and also just helping to basically get stuff- nutrients throughout your body. Chlorophyll helps you do all of those things. This is why you need greens in your life, alright? Now to be honest, we're probably not getting enough. We need to get that insurance policy, but I want you to do this through a real viable source. That concentration of real whole superfoods, organic superfoods, that's minimally processed so it actually retains the nutrients that you want in there. One of the big ones is chlorella, right? Chlorella chlorophyll, right? It sounds similar because this is the number one source of chlorophyll of any food, right? I like spinach, alright? Popeye was right, but at the end of the day, chlorella- like let's go get the number one thing. Spirulina is also in Organifi? Alright, they've got chlorella, spirulina. Number one source of protein by weight of any food that we've ever discovered; 71% protein by weight. Moringa, and on, and on, and on. This is a truly dense green superfood drink, it's called Organifi Green Juice, I want you to get your hands on this. People love it, alright? Not only does it have all this wonderful nutrition, but it actually tastes good as well. So head over, check them out, that's www.Organifi.com/model for 20% alright? Twenty! He's sitting on twenties, guys. 20% and they've got the red juice as well which is a new product that I absolutely love. This is something I give to my kids, throw it in their smoothies, that kind of thing. It's really versatile, and again it tastes really good. So do yourself a favor, pop over, check it out, www.Organifi.com/model and now let's get to the iTunes review of the week. ITunes Review: Another five star review titled 'Swannies for Life,' by Dawnie.Bee. 'Hi Shawn, it was love at first listen when I heard your podcast as a guest of Wellness Mama, now my second favorite podcast. I'm 46 and didn't know until I heard your interview that you could do anything about quality of sleep other than sleep more, and didn't connect the pill melatonin with something that your body produces. It was, no pun intended, eye-opening. Since then I have helped my entire family of six and some friends enjoy a good night's sleep. 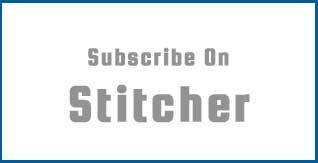 I have become a loyal fan and follower and patron of anything you recommend on your show; Swannies, Organifi, Onnit, et cetera. Shawn Stevenson: Thank you so much for leaving that review for me over in iTunes, it truly does mean the world to me. And everybody, thank you who's left a review. Just keep them coming. It helps to motivate me, and it helps to really let other people know that there's a lot of value to be found in the show. And again, I appreciate you immensely so much, so much, thank you for taking the time to leave me that review. And on that note, let's get to our special guest and our topic of the day. Our guest today is Light Watkins, and he's been practicing and teaching in the meditation space for the past two decades, and he travels the world giving talks on happiness, mindfulness, and meditation, as well as leading trainings and retreats. To date, Watkins has shared his knowledge with thousands of people through his live events, books, and online trainings, and he's a frequent contributor to major wellness brands, and he's the founder of The Shine Movement, a global movement with the mission to inspire. And he's here today to share his wisdom with us, and I'd like to welcome to the show my man, Light Watkins. What's up, man? How are you doing today? Light Watkins: I'm wonderful, thanks for having me. I'm so happy to be here in St. Louis. Shawn Stevenson: Hey it's my pleasure, man. Thanks for coming out and hanging out with me. Shawn Stevenson: We had a random like- seemingly random intersection when we first met. Can share a little bit how that-? Light Watkins: Yeah I saw you at Bulletproof in Santa Monica, and recognized you, and you were out there I think looking for your Uber, or something like that. Light Watkins: And then we started talking, and connected like that, and then later on it turned out we were working with the same person when I launched my book that helped you with your book, and now here we are. Shawn Stevenson: Yeah, you know what? I've shared this with you when we talked the other day, that I think that you did that. I think you're so powerful, your energy, that you caused it so I couldn't get my Uber. You know, because I had no idea where I was even at. I was leaving a friend's house, and I just couldn't- like my phone just wouldn't work. I couldn't get the hook-up. And so I said, oh there's this Bulletproof Cafe is out here on the streets. By the streets, I mean the Internet. Light Watkins: Oh you had never been to the Bulletproof Cafe before? Shawn Stevenson: No, I didn't even know it was a thing. And so I went in, and I met you, and you were with a friend. Light Watkins: Drew, Drew Peroet who's working with Mark Hyman. Shawn Stevenson: Who I just talked to on Tuesday. Light Watkins: A big functional medicine doctor. Light Watkins: Was he on the podcast? Shawn Stevenson: Yeah, I love Mark, man. We had a great time, but we're going to have a better time, you know? Because man, like your story. Let's first just start there. You know, you shared with me a little bit like where you come from, and so let's talk about this because when people see you, like they see out on the street like, 'He's not a meditation teacher,' right? You know? And so breaking that paradigm, but let's talk about your upbringing, let's get into your superhero origin story. Light Watkins: It's funny I was- you could probably identify with this, but I was at Deepak Chopra's Sages & Scientists Conference at the Peninsula Hotel or someplace, like some fancy place in Beverly Hills. Light Watkins: But yeah, so I thought that was funny. I said, 'I play for the Lakers.' I didn't have the energy to get into it with her. Anyway, yeah I'm from Alabama, man. I'm from Alabama, grew up in the south my whole life, and- which as everybody knows is the Bible Belt, and there were more snowstorms than meditation teachers, which is to say there were no meditation teachers when I was growing up. And never thought in a million years I'd be working in this sort of wellness space. And you know, life is just so perfect, it led me to a lot of different career paths. I went to college in Washington D.C., went to Howard University, graduated there in '95. Started modeling, got into the fashion industry, was in that for about seven years. Shawn Stevenson: Would have never guessed, man. Light Watkins: Yeah, I know, right? Shawn Stevenson: Check out the video, guys. Light Watkins: And that ran its course. And you know, a lot of people hear about that and they go, 'Oh it must have been so superficial.' But I actually loved it. I loved the travel aspect, I loved meeting new people all the time. I actually loved the uncertainty of it. There's a lot of uncertainty in that field because you don't know if you're going to work that month. Light Watkins: And so you've done some modeling before obviously. Shawn Stevenson: Yeah, long story long ago. Light Watkins: So you know, looking back at it now as an entrepreneur, you see a lot of the traits that are required to just keep going and moving against the resistance. A lot of that foundation was built back in the fashion era, the fashion days. Even the sense of rejection. You get rejected all the time. Shawn Stevenson: Yeah, wow yeah. Light Watkins: And so you have to develop very thick skin because you're being rejected over very superficial things, you know? So if when you get to a point where that doesn't get to you anymore, then you can pretty much just get up and do anything you want, and it doesn't really matter. People keep telling you no, no, no, no, no. So anyways, I graduated myself from that after about seven years, and came to a point in my life in my late twenties, decided that I needed to do something more meaningful, and I just so happened to be getting into the yoga scene. This is back when before there were yoga studios everywhere, and I was really into the spiritual books, the Eckhart Tolle's, and the Deepak's. Shawn Stevenson: Where was this at? Light Watkins: This was in New York. I was in New York City, yeah and I read this 'Conversations with God' book, and it really changed my life. Have you read 'Conversations with God'? Shawn Stevenson: Is that Neil Donald Walsh? Light Watkins: Neil Donald Walsh, yeah. So it's four volumes and I read all four volumes four times in a row. Shawn Stevenson: Wow, that's a lot. Light Watkins: Like for four months, every month I would just go through each one and then cycle through, and cycle through, and the pages were all tattered up. This is before digital books, before audiobooks, so you're just carrying around these books with you. And I took my first meditation class when I was living in New York, and had a horrible experience, but I was really intrigued at the same time by the practice. Because all the spiritual books mentioned meditation, and then eventually I left New York, moved to Los Angeles, a lot of my friends had made the transition. And I moved out, and started teaching yoga, and very soon after that got introduced to a former transcendental meditation teacher who was now out teaching independently, and I didn't know anything about transcendental meditation or any other forms of meditation. I pretty much thought all meditation was the same, and that it was challenging but you had to kind of push through, and that was the practice, was pushing through. And when I studied with my teacher, I got to see how effortless meditation could actually be, and it just changed a lot for me. So I started to apprentice him and shadow him around for the next few years, and then finally an opportunity came about to go to India to learn how to teach meditation under the tutelage of my teacher, and he had been in India for years studying with his Indian teachers. And I did that, it was actually a foregone conclusion that it was going to happen, it was just a matter of when it was going to happen, when was the opportunity going to arise? And when it came, I dropped everything that I was doing. And at the time I was a very in-demand yoga teacher. I dropped all my classes, went to India, stayed away for a few months, trained diligently in becoming a meditation teacher learning the specific style of meditation which was rooted in transcendental meditation. Came back, started teaching people to meditate, and this was now 2007 from my one bedroom apartment in West Hollywood. Turned out I was pretty good at it, people were having very powerful experiences, and then I just kept teaching people. And the thing with that form of meditation, TM and what we call it now Vedic meditation, it's an in-person experience. It's not digital, it's not streaming video. You have to meet someone in person, and you make that sort of teacher student exchange in person. And so it was very powerful working with these people because you also- once you train someone to become a meditator, you maintain a relationship as their teacher indefinitely. So there's not expiration date. So you take that relationship very seriously as a teacher, because you're going to be locked- you're going to be tied to this person for the rest of your life, which means that whenever they have a question, or if they want to validate their experiences, they can reach out to you and you help them along the way because you've been down the path, and you know the pitfalls, you know the obstacles. And again, I didn't appreciate how valuable that would become ten years later, because you accumulate a body of empirical evidence for what meditation actually does from people who are actually practicing it in real world ways every single day, compared to what you read about in all the meditation studies. So it kind of shaped my perspective on meditation, and it allowed me to become a much more effective teacher because I could speak to people's real world experiences, from having guided people through that, and track them along the way. So that led to me becoming more of a writer and expressing those ideas more widely, because when you're doing things one-on-one and in person, there's only so many places you can be at one time and so eventually people want more and more from you, and you have to find ways to scale that knowledge. So that culminated in the book, 'Bliss More,' which is what you have in your hands right now. Shawn Stevenson: Yeah, you said it. And also I love that you coordinate, man. Shawn Stevenson: You've got to coordinate with the shirt, you've got to coordinate with the phone case. Light Watkins: Got the socks. Shawn Stevenson: Come on, man! I love it! I love it so much, man. You know, and you're the walking, talking element of the things that you teach, you know? And one thing I want to do is take a step back and just talk about specifically like the town you're from. Shawn Stevenson: Because there's another great person that comes from there that I think you're in a similar vein helping to serve other people. Light Watkins: Yeah, no so I grew up in Montgomery, Alabama, which for those of you who are students of history, you may remember this was the cradle of the Confederacy, and also the birthplace of the modern civil rights movement, which was headed by a guy you may have heard about before named Dr. Martin Luther King Jr. whose church, Dexter Avenue Baptist Church was right down the street from where I grew up. So very, very prolific place, a lot of history, and interestingly it shaped a lot of the conversations that you have as you have as a young African American growing up in the south, where a lot of the attention is placed on race, and racism, and it's interesting that we're now having that conversation on more of a national and even international scale, which is- it may be shocking to some people, but it's something that I've been personally living with pretty much my whole life. So it's kind of fun to see it, fun in a way that we don't have to be walking around on eggshells anymore talking about these things. Shawn Stevenson: Right, man of course like we talked a little bit about this, and how I think it's really valuable and important that things are kind of festering up, and coming to the surface, and they're not as hidden. But you know, for a lot of people it's been their experience their entire lives. Shawn Stevenson: And so for other folks tuning in, it's like- it's new, like I didn't know this was going on, you know? And I think that it's important to have change agents like yourself who are out here. And I just want to share this really quickly, because I truly believe that part of the overriding solution is to help individuals to experience joy, to experience- it's very difficult for a joyous compassionate person to kill somebody. Right? It takes a lot more levels to get to that place. Light Watkins: There's no such thing as the happy suicide bomber. Shawn Stevenson: Yeah, exactly. Exactly, you know? Light Watkins: The happy serial killer. Shawn Stevenson: That's right, he was just so happy! Shawn Stevenson: He's always got a smile on his face. Light Watkins: That's an oxymoron. Shawn Stevenson: And you know, so again that's why I think this work is so valuable. But I would love to talk about- oh first of all because I mentioned the impact that you're making, all the everyday folks out there, thousands who you've influenced. But let's name drop man, you have to do some name dropping. Who are some of the people that people might recognize that have been in your sphere now? Light Watkins: Well look, I have taught a lot of- being in L.A. and teaching in New York, you definitely cross paths with a lot of people who are celebrated. And the ones that I'll mention because they've mentioned me publicly are Meghan Markle, who's about to marry into the royal family. Shawn Stevenson: Kind of a big deal. Light Watkins: We got a chance to work together. Rosario Dawson, she and I got a chance to work together. Yeah, and then you know, people like that. I've taught Oscar Award winning actors, and professional athletes. But more important than that, regular people, you know? I think people who aren't necessarily celebrated yet, we look at those people and think that they have achieved something that is going to increase their quality of life, and that's something that we all strive for. But what's fascinating is that - and you probably can identify with this as well - working with people who have achieved a lot of things, a lot of times they're not that happy. And I'm not saying that about those people that I'd mentioned, I'm just saying in general these people who have so many things are oftentimes the most stressed, the most anxious, a lot of times they're not sleeping at night, and that's what drives them to meditation. And that's just the extrapolation of this idea, this delusional idea that once I achieve all of these things, once I get my grind on, and hustle on, and all of that, I'm not going to sleep, I'm not going to eat properly because it's so important to work, and grind, and hustle to get this thing. It doesn't lead to a greater sense of inner happiness or bliss, and you see this so many times. And I guess I'm fortunate in that I've gotten a chance to see the people who've achieved the most things, and it doesn't really make that big of a difference. So it allows you to kind of reshape your perspective I think in a healthier way, and get to the business of what's really important, which is having gratitude, and helping people, and spreading that message as widely as possible. Because one of the things growing up where I grew up, and seeing what I've seen in the world, the people that I work with, because my time is so limited I have to charge a certain amount of money, and it ends up excluding a certain population of people who may want to have those same benefits but they're not able to get into the room with me. And so that was really the main driving force behind writing 'Bliss More,' my book on meditation, it was just to get that information into the hands of bus drivers, and to people who are flipping burgers, and to write it in such a way that it can be accessible to most people without sacrificing the quality of the knowledge. Shawn Stevenson: Yeah, man and I love that, and I totally agree. That's what you've done, man. Like you've accomplished that in a very graceful way. Shawn Stevenson: And this is coming from somebody- you know, some of the things that you're even speaking of, it's just like even the story of your teacher, that's the story of my teacher. Light Watkins: Is that right? Shawn Stevenson: It's my mother-in-law is a transcendentalist meditation learner from like Maharishi, all that good stuff, and then she branched out and was doing her own thing, and taking the best of what she's learned, and she really spoke to my man brain, you know? Like I've seen like on a movie or something, you know? And just giving it an opportunity, but also addressing my concerns was really helpful. And you address concerns in a wonderful way, and that's what I want to start with. There are some myths around meditation, and I think you're the great person to talk about it. That's why I actually asked you about the kind of notoriety of folks that you work with, because there are people who are teaching, and then there's people who are getting connected with these kind of higher level circumstances, and the only difference a lot of times, like they're doing things in a certain way, you know? Same goal, but you're doing it in a certain way. And you're taking a lot of the discomfort, and pain, and question out of this process. So let's talk about these myths, alright? Let's start with number one, like what is one of the biggest myths around meditation? Light Watkins: One of the biggest ones is that all meditation is the same. Right? When people say, 'Oh I meditate.' Right? They could be talking about anything. Light Watkins: And if you ask 100 people who identify themselves as meditation teachers, 'How do you meditate?' You're going to get 100 different answers, and some of them will be drastically different. Someone else may say you meditate sitting straight up. Someone else may say you meditate on a silent retreat. Someone may say you meditate with a mantra, you meditate with rosary beads, you meditate with music, you meditate with whatever. And so because meditation is such a varied type of experience, then it creates a lot of confusion when someone earnestly wants to learn how to meditate. And the people- you know, there's no regulatory board for who can call themselves a meditation teacher, and who's not qualified to call themselves a meditation teacher. Vistaprint and- not to advertise these people, but you can create websites, you can create stationary, you can basically- if you know what you're doing, you can make yourself look like you're the king of that thing within about a week. And so you know, there's a lot of that happening out there, and the market nowadays with meditation has become very saturated because people are seeing it as a market opportunity to get a population of people who are seeking something to come in and experience whatever they're offering. So you have people who- I've seen Gyrotonic Meditation, Zumba Meditation, Dog Meditation- whatever people were doing for yoga before, now they're tagging meditation with that. And you know, the intention is good, and I don't doubt that they don't feel that their practice is meditation because what most people mean by that is that this thing, if you do it, it can be meditative meaning you won't be thinking about much else while you're doing it. And so that's- again it's a situation where they're describing an experience where you're not so much pre-occupied or distracted by things that are happening in the past or future, you're kind of locked into what's happening now. So I would argue that the best type of meditation for the biggest impact would be a seated eyes closed practice. But even within the seated eyes closed practice style of meditation, there are two broad categories. There are your Monastic traditions, and then there are your Householder traditions. Now mostly what we think about when we think about meditation tends to lean towards Monastic, which is to say all the things we think are required in order to be successful at meditation- let's just list a couple of them. Sitting with the legs crossed. Sitting with the back straight. Being able to sit in that way for a long stretch of time. Being a calm person. Being a vegetarian. Right? Whereas me, I can't sit with my legs crossed. I have a problem sitting with my back straight. I'm not that calm, in fact I have a little bit of an anger issue when I'm driving. I love meat. You know? I can't stand eating vegetarian food. I'm probably not that good at meditation. So what they're alluding to is the Monastic tradition, but guess what? You're not off the hook because there are Householder techniques where you don't have to be vegetarian, you don't have to sit with your legs crossed, you don't have to sit with your back straight. You can actually sit in the same position that you would sit if you were binge watching Friends or some television show on Netflix. And you don't have to try to focus on anything, you don't have to be calm when you're doing it, you can let your mind be very, very chaotic and busy, and it's still impactful. So what I've been teaching and advocating for is the Householder approach to meditation, because it's the one that is best suited for our current modern day lifestyle. Shawn Stevenson: Yeah man, there's a lot of great nuggets there, and I think of course when people think about meditation, there's this image that you have of that- is it Monestic? Light Watkins: Monestic, yeah. You think about a guy with a robe, or the Buddha statue, and that's how I'm supposed to look when I meditate. Shawn Stevenson: Exactly. And like that's the pinnacle, right? Your objective is kind of different, you know? The lifestyle even associated with that. That's like they're trying to reach nirvana or enlightenment, you know? I truly feel this, that there are so many people walking around that are already enlightened, and oftentimes don't even know it. You know? Because of their particular practice. And I think you also reiterated that there are many paths to the goal, and you mentioned that in the book as well, and what you're looking for is just best practices for people. Light Watkins: That's right, and that's what often gets overlooked, right? Meditation is as much of an art as it is a science. And like any art, ballet, archery, floral arrangement, there are best practices, and when you know how to employ the best practices, you end up creating a level of efficiency that you wouldn't have otherwise. And it's not to say it's going to happen overnight, but the more you practice those mechanics and principles, the more efficient the experience will start to feel, and then that is what leads to success, which I define as a meditation practice that you actually look forward to doing. That you actually enjoy. Imagine that. Waking up in the morning, and you are as excited about meditating as you are about eating breakfast, or about cuddling with your partner, or about playing with your dog, or whatever turns you on in the morning. Imagine having meditation fall into that category. And when meditation- when your relationship with meditation becomes that strong, then it becomes a practice that you literally start to do every day, and that's where you're going to get the benefits. It's like saying a two minute workout, right? I mean yeah, you can do jumping jacks or pushups for two minutes, or burpees, or whatever, but if you really want to see some big changes in your body, you're going to have to eventually do something a little more substantial than that, and you're going to have to be more consistent, and there's going to have to be a system in place. And that's what I'm trying to bring about is A) change that conversation around meditation is supposed to feel hard, and B) help people find their own system so that they can get the most out of the practice. Shawn Stevenson: This is so valuable. I didn't know he was going to talk about this, and you mentioned this in the book as well, but how meditation in many ways is sort of like exercise, you know? Light Watkins: Absolutely. It's almost exactly like exercise. Shawn Stevenson: And building this kind of internal strength in a way. And what you just mentioned now really just kind of struck a chord with me because- and me being in the fitness industry for over a decade and a half, and working with people in the gym setting as well as strength and conditioning coach, I know that the people who are successful long-term and who make it a part of their lives, they fall in love with it. And so we need to do that for exercise, but also you've got to understand too, it's not always love at first sight. Shawn Stevenson: You know? And sometimes it's just like there's- you have to consciously find the connection, but when you find that connection it can really change things for you. Light Watkins: Also just like with exercise, if you have never exercised consistently and then you go to the gym with someone who knows what they're doing, and they put you through a little program, even if it's like just a twenty minute or thirty minute workout, if that person knows what they're doing and they know how to take you through that program, you do it, you feel good, you sweat and all that, what's going to happen the next day? How are you going to feel? You're going to be sore as hell, right? Light Watkins: You're going to barely be able to walk maybe, or laugh, and that doesn't mean the exercise didn't work. It means that it did exactly what it was supposed to do. It broke down some muscles, it swept out some dust, and it woke some things up in your body that haven't been touched in a long time. Right? The same thing applies to meditation. When we start off meditating, and we've never meditated before, two things are happening. Number one, we're reconditioning the mind and the body towards meditation, but number two more importantly, we're breaking the old habit- the old habit of not meditating for years and years and maybe even decades. And so the soreness of the muscles in the physical exercise is kind of like what happens with meditation with the mind. You have these really crazy chaotic mental experiences, you may have some emotional releases surrounding your meditation practice. That doesn't mean it's not working. That's how people normally interpret this experience, it's not working, and this is the second myth I was going to talk about. This is actually a sign that it is working, things are getting shaken up, and your mind is now going to start- it needs to go through this phase in order for it to be more conditioned to that settled experience that you ultimately want to have with the practice. So this idea that the mind is the enemy to the meditation is completely mistaken. The mind is not the enemy at all, in fact the mind is noble. The mind is just going along with the ride, and what's happening is your mind is really the out picturing of what's going on in the body. When the body is able to achieve the different states of rest, and all the wonderful things that are happening within the practice itself, which we can get into in great detail if you wanted to, but there's a lot of rehabilitation happening inside of the body because the meditation- certain styles of seated meditation can actually rest the nervous system deeper than sleep minute for minute. And you know all about that, and the effects of getting that higher quality of rest in the body. And so it starts to cause the body to restore balance, and that is what can lead to an active mind in the practice. So when I hear people say, 'My mind is too busy in meditation,' it's actually not a mental problem, it's a sign of progress. And if people knew that, and they were able to reframe that experience properly, then you're going to have a lot easier time in the meditation itself, and you will end up achieving more of what you want, which is again that settled experience. So one of the techniques that I talk about in 'Bliss More' is what I call the EASY Approach, which is an acronym E-A-S-Y, and it stands for Embrace, Accept, Surrender, and Yield. And what I'm describing is how you want to interact with your mind while you're going through the process of meditating. You want to embrace your thoughts, you want to accept all of your experience, surrender to them, and anything you may consider to be distracting, you want to yield to that as though this is actually what's supposed to be happening. And that's where you're going to find the most restful settled experiences in the meditation if that's what you're looking for. Shawn Stevenson: Wow, this is very freeing, you know to even put it in these terms. I love that perspective. Okay so that's covering the second myth? Shawn Stevenson: What you've got? What's next? 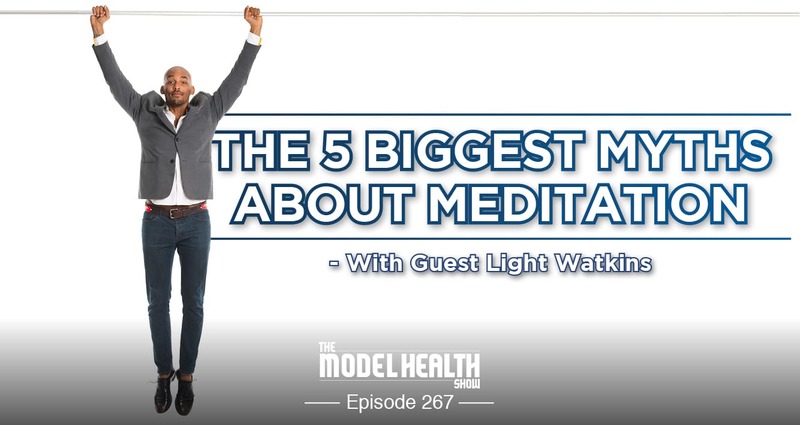 Light Watkins: Well you know, just the flipside of that coin, is when we talk about what makes meditation easy, and if you're doing these- if you're treating your mind in this way, then we also have to look at what makes meditation hard. Again I use HARD as another acronym in the book. HARD stands for holding the position. So it's very important not to sit like you would think you should sit when you meditate. If you're trying to hold a position, if you're sitting with your back straight, what that is going to do is it's going to keep your body active. And if your body is active unnecessarily in meditation, it's going to keep your mind unnecessarily active. Now you already may have an active mind from the body rehabilitating itself, but if you're sitting like a monk or you're sitting with your back completely erect and all of that, and it's not completely comfortable for you, then you're going to end up adding more content to that experience, which obviously that's the biggest complaint people tend to have, so you don't want to have that experience. So you can reduce that significantly just by sitting with back support, so that's very important. A stands for Austerity; this idea that it's supposed to be hard and rigid, and if it doesn't feel rigid and hard, you're not doing it right. There's a popular advocate for meditation who's written books about it who says this thing that I don't necessarily agree with, which is if meditation feels easy, you're either enlightened or you're not doing it right. Light Watkins: And to me that just sounds like- he's kind of been sold the Monastic thing of meditation. And you know, this is really again going back to the first thing we talked about, the confusion, most of these meditation books on the market are not written by meditation teachers. Right? They're written by monks who may not be teaching meditation. Shawn Stevenson: Right, got to keep that in mind. Yeah. Light Watkins: They're written by doctors, they're written by psychologists, positive thought gurus. You know, people who have- and they all have great intentions- philosophers. But they don't get into those nuances of the practice, right? And so in my situation, I've been on the front lines for a decade meeting people from all walks of life on a weekly basis, and then tracking them over all that time, and hearing what they're mainly concerned about, and what the problems are, and obstacles. And you know, you end up leaving out a lot if you don't really have that experience, and so one of the things that I wanted to bring to the market was I wanted to help fill in those gaps. Because it's one thing to just say, 'Oh you're supposed to just focus on whatever.' But you could be completely misleading someone if that person wants to have a very deep and profound experience. Because it is possible to have simony and nirvana and Christ consciousness and bliss and enlightenment, but many of those terms, people mean different things based on their own personal experiences. I can probably do a decent job if I studied enough, but if I have never performed it, then I'm going to end up leaving out some things that may be crucial, that could make all the difference in the surgery being successful or not successful. So I think that a lot of what people say, again it's well-intentioned, and all of that, but I think that when we really understand the mechanics and the principles of the practice, meditation is a very, very accessible thing, it's very real, it's something that you don't need to be hippy or airy fairy in order to enjoy. In fact I say that it's for busy people with lots of kids, lots of jobs, because those are the population of people who don't have a big margin of error when it comes to your decision making. You have to make good decisions because if you make a bad decision, it's not just going to affect you. It's going to affect the lives of other people; your employees, your family, everybody. And so if meditation is going to give you a level of perspective that you wouldn't have otherwise, then it's going to be detrimental to some extent if you're not or engaging in this practice on a regular basis. Shawn Stevenson: That statement- and thank you for unpacking that, sharing with people, and implanting that seed that if this isn't hard, then you're not doing it right, or you're already enlightened, is sort of like diets and teachers, so-called experts saying if you're trying to lose weight, and you're dieting, and you're not hungry all the time, you're doing it wrong. Shawn Stevenson: Right? It's very misleading and it's unfortunate because it gives us these stigmas that, 'Hey this just isn't working for me. This is not for me,' and missing out on all of these great benefits. This is the reason I wanted to have you on to talk about this, is that wow, like we actually see all of these clinically proven benefits, but there are things even deeper than that. Shawn Stevenson: And even, you know, the thing that we've talked about- the airy fairy, that's a real- that's one thing that it matters. Light Watkins: You're not a real man if you meditate. What are you talking about? Shawn Stevenson: And even this idea- you know, I think the hippie person that might be listening is like- they're already winning. Like you're onto something in a way, you know? Light Watkins: Well you don't have to convince them. They're already convinced. Light Watkins: It's the other guys. Shawn Stevenson: Because there are certain things in my life that- you know, even our story of us meeting. Shawn Stevenson: That are pretty unexplainable, that I think that these things lean to, you know? And you starting to understand like there's an entire universe inside of you, you know? Shawn Stevenson: And it is the- like that's the final frontier for real. And here there's this quote, I've got to ask you about this, that you start off your book with. It's like on the very first opening. Shawn Stevenson: Why did you put this here in the beginning of the book? Light Watkins: Well first I want to give credit to the person who showed me that quote, Agapi Stassinopoulos. Have you met her before? Light Watkins: She's Arianna Huffington's sister and she's written a few books on her own, one being 'Waking Up to the Joy of You.' And very, very profound, and beautiful, and wonderful person. She also leads a lot of meditation experiences. But the thing that resonated with me about that quote is we have this kind of idea that we need stimulation in order to feel productive. We need to be doing something. Again, it's our conditioning. It's how we've been raised in this capitalist society. I don't have any problem with capitalism, but in this society a part of that is the conditioning that hard work is what leads to success, and being active is required in order to work hard. You can't just sit around and call yourself a hard worker. And if you look at any machine, or any device, every single thing that we rely upon for productivity; gadgets, devices, machines, they need some period of rest. You can't just run them all the time and expect them to perform optimally. And the same applies with our beautiful, wonderful nervous systems that we live in. We need to rest these things. And so meditation is not a panacea for anything, but it can lay a really strong foundation for just achieving and even subsidizing the lack of rest that people don't normally get when they're sleeping at night. So one of the first benefits that I see within people who start practicing meditation is they're able to sleep like babies. Even people who’ve been complete insomniacs for years and years and years. I see this all the time. I would even say eight out of ten people- and I haven't read this in any study, this is just my own personal experience from teaching thousands of people. Eight out of ten of the people that I work with will report after a few days, 'I'm sleeping so much better,' right? And so when we look at why are they sleeping so much better, one of the things that studies say is that the average person is walking around with a concentrated amount of cortisol, or some stress chemistry in their bloodstream. Right? And so what is the job of stress chemistry? To get you to run away from jaguars, to get you to not jump out of an airplane, to get you to- to protect you. It's a protective measure, right? But you don't need this protective measure if you're lying in your Tempur-Pedic mattress at 1:00 in the morning, and you have to wake up at 6:00 to go to work. You don't need it there. Shawn Stevenson: Yeah, life's pretty sweet. Light Watkins: Life should be pretty sweet at that point, but if you have it in your body, you're not going to be able to sleep as deeply as the body is designed to sleep. You end up tossing and turning, or some other symptom of sleep deprivation, and so you're one asset which is the night-time rest, the one asset the body had to go in and rehabilitate itself now has gotten hacked, it's been compromised. Just like when you get malware on your computer, what happens? Things slow down, things get a little bit jittery, and so you wake up in the morning wishing you had slept better, not feeling fully rested, and then that causes you to be more susceptible to the smaller little stress that should be overlooked the next day. And then it just snowballs from there, and then if left unchecked that stress will start to habituate, meaning the body has its own algorithm just like Google or Facebook, they have algorithms. Where if you go and- you know, sometimes you go and Internet stalk some friend or some ex-girlfriend or something like that on Facebook, you type in the name two or three times - I'm speaking from experience. Shawn Stevenson: I'm like- yeah. Light Watkins: And then even if you're trying to find someone else's name, you type in the first letter, but because you've typed in that other name so many times, it autocompletes it, and that's what the body does. And so it creates this layer of anxiety, and depression, and pretty much all the imbalances that we report. If you look at the connections, and you can Google 'fight or flight symptoms,' and you'll find websites with hundreds of these symptoms, and you're going to see everything on there. Every single one that you suffer from, or that someone you know suffers from, from dry mouth to joint pain to diabetes, Alzheimer's, digestive problems. And you know, so when we talk about things like you're not a man if you meditate, well if you can't get an erection, you're not- that's a symptom of stress in the body, right? Does that mean you're a man if you can't get- because you have so much stress because you don't sleep at night? Whereas a meditation practice supplies the body with rest, which allows you to sleep better, which means your reproduction system can work a lot better. Your body doesn't need reproduction if you're running away from a tiger, which it thinks is happening. If you can't digest your food properly, you're not going to the bathroom more than once a week, is that what you really want? Is that what being a man is about? The body doesn't need digestion if it's running away from a bear, and that's what it thinks is happening. So if meditation supplies the body with rest and reminds the nervous system that there is no bear attack, all of a sudden, guess what? Your digestive system is now back online. Light Watkins: So all these little long-term survival functions get shut down when the body thinks it's under attack, and they come back online when the body knows that there's no danger. And that's what meditation does, it brings you back to yourself. It's not some cloud experience where you're floating around, it's just you being a better version of you. Shawn Stevenson: Man, you know this is- I think this is bringing to light- Light, you see what I did there? So this is really bringing to light how meditation actually shows up for better sleep. And you mentioned it, that there are certain layers or certain aspects of meditation that are actually more effective for regenerating your body. And this is really being able to really even consciously turn off that sympathetic fight or flight nervous system, and turn on the parasympathetic 'rest and digest' nervous system. And it was the American Academy of Sleep Medicine utilized- and this is again, just one form of meditation, for folks with clinical insomnia. So chronic sleep problems. And they had them do- take on a meditation practice, a mindfulness meditation practice, and this was just even over the course of eight to ten weeks, and them doing this daily practice in the morning showed up for them at night when they went to sleep. Here's what happened; they all had- well on average, increased sleep time overall, they improved their sleep latency, so this means they fall asleep faster, reduced wake after sleep onset, so after they fall asleep they wake up less often, and they saw reduction in depression symptoms. Right? All of this from doing a meditation practice in the morning. But here's the thing, it's kind of free, right? Ambien costs, you know? But this is what we're geared towards, and we're not looking at like what is the actual underlying cause? And like your quote says, like there can be so many problems that are solved with people just sitting alone, you know? And not running from ourselves. Because I think that's another symptom, is just like there's so much internal stuff going on, and it could be difficult to process, you know? And you know, we all have our troubles, and most of the time we just want to go- for some of us, depending on your personality type, just go attack the troubles. Then we've got other folks who want to hide from the troubles, and they'll medicate themselves in various ways. And so this is actually another aspect of this self-care movement that's taking place, you know? And taking care of ourselves not just- like we get it with the external stuff, you know getting out and doing the squats and the push-ups, and that's all wonderful, but also- you know, and I would see this over the years. You know some patients, they didn't need to work out, they needed to work in. You know, and taking some time to help direct them, and now I have an even greater valuable resource to share with them with your book, so thank you for that, man. But I want to actually shift gears really quickly, because he was talking about this- well actually first, let's talk about the time of day. Let's share a little nugget on that because like I want to improve my sleep, should I meditate while I'm in bed? Light Watkins: Right, and it's important to understand that depending on what style of meditation you're practicing, there are best times of day to do them. Light Watkins: A lot of people kind of default to meditating either in the morning or right before bed, and what meditation can do for us very, very effectively, is it can supply us with a surge of energy, right? So one of the reasons why people sleep better when they start meditating, is because they're getting their supply of energy at the appropriate times. So first thing in the morning, if you've been just living your life for years and years, and you haven't been meditating, there's a better than even chance that you're sleep deprived, right? You probably know the statistic more than me, but last I read it was something like eight out of ten people, or nine out of ten people have some level of sleep deprivation. 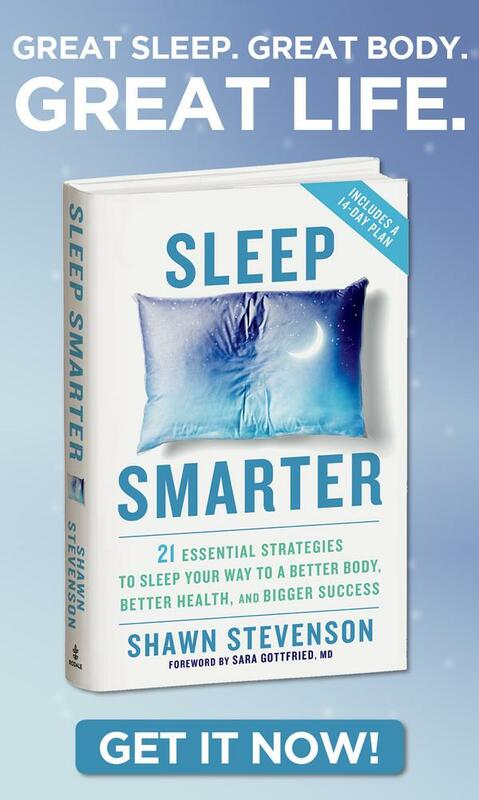 Shawn Stevenson: Oh this is- when you actually look at the numbers, two thirds of all Americans have problems sleeping either every night or every other night. Light Watkins: Right. So that means that when you wake up in the morning, you're probably not as rested as you could be. So doing a meditation right then gives you that surge of energy which allows you to function optimally for that first portion of your day, right? So now obviously you don't have to meditate, you can do- you can drink coffee, you can do Redbull. I call these sort of dirty energy, you know? Meditation is like clean energy meaning that meditation is not going to give you any side effects. The dirty energy substances and experiences come with a downside. You may get the jitters from the caffeine, you may get the crash from the sugar, right? So you can do it, but you have to pay a cost for that. Meditation, you wake up, you do your meditation in the morning, fifteen or twenty minutes is optimal. You don't need an hour, ten minutes is not enough. I would say fifteen minutes average. You sit and do your meditation, that should take you through the first portion of the day, and then normally what happens around 2:00 or 4:00 in the afternoon, we start getting that lull in our energy, that's where we start going for the second espresso, or the scone, or some other sweet. That's where you can do your second meditation. In that period of time, midafternoon to late-afternoon, early evening when you're feeling a little bit tired, or a little bit distracted, you sit down, you do your second meditation, you get another jolt of energy, that'll take you through the next portion of your day. Right? And what this meditation is doing, is it's creating space in your awareness so that when you are dealing with your high demand, high pressure work situation, or you're having a conversation that can go off the rails, or you're dealing with your child and you don't want to say the wrong thing, that space comes in really handy as a tool that you can use to kind of energetically just kind of step back for a second, just hit the pause button on the reaction, right? Very, very practical, very valuable to have that. If you don't have that, what happens? You say the thing that you regret five minutes later, and then you have to spend the next five days, five years cleaning up from that one thing you said, that one reaction you had, culminated with all the other things that have been happening over the last ten, twenty, thirty years. Shawn Stevenson: Let's talk about this for a second, because for me- and I just asked- I did a survey, I asked my wife and I asked my son, my oldest son who was there with me- you know he's seventeen now, in the early days of Shawn. And you know, same thing, just by the nature of the environment that I was in, just very impatient, very agitated type of person, which people wouldn't know that about me now. But I would see those things, and I would see small instances of those things like early on when I first met my wife. But the first year, let me throw this out there, first year we were together, I literally- I said these words with my mouth, man. I said these words to her. I was like, 'I don't think I could ever get mad at you.' Yeah, congratulations, you played yourself. Light Watkins: You just played yourself. Shawn Stevenson: I was just in that stage, you know what I'm saying? But you know, at this point she's seen it as well, like it's not- and this is what I want to talk to you about. It's not what you get in the meditation necessarily, it's what you carry out of the meditation. Shawn Stevenson: And how you operate in the world, because now I have that space. And also when there's something going on, you know? It might bother me, you know? You have still- you're human, but there's like a part of me that just doesn't- I'm okay. I'm calm, I'm solutions oriented, I'm present. There's a space that's there that gets developed and it grows as you grow this practice. So let's talk a little bit about that. Light Watkins: And it's very tangible, too. It's very tangible. I just want to complete the last thought really quickly, and then I'm going to dive into that because it's very important. But if you meditate those two times, then when you get ready to go to bed at night, you're going to have the best sleep of your life because your body combined with- the activity combined with the meditation is what then leads to deep sleep. If you wait until 11:00 at night to get the meditation energy, you don't need it then. So then you may end up having poor sleep thinking, 'Oh meditation doesn't work.' Right? But it does work, you just have to do it at the proper times. So now when we talk about how do I determine whether or not the meditation is working, the worst way- the worst way to tell if meditation is working is based on what you're thinking about in meditation during the practice. Right? Light Watkins: 'What's for dinner,' or something else that's not very positive, meditation isn't working. Right? But if you keep the camera rolling, what's going to happen is you're going to come out of meditation, and you're going to be in a situation, a real life situation, where it could get really intense really quickly, and you're going to find that there is going to be a little bit of space there. Right? And that's what true presence feels like. True presence is not you sitting there aware of the fact that you're present. That's not presence. If you have to know that you're present while you're present, you're not present, right? 'I wasn't thinking about it.' That's how you know you're in the zone is after the fact. So everything that happens in those other 23 hours is how you're going to gauge progress with meditation. If you sit there and think about conversation after conversation followed by song lyric followed by movie scene, and then you're sleeping like a baby at night, it worked. Right? So again, this is another myth, we need to gauge progress not by what happens in the practice, but by what happens outside of the practice. There's a story I tell in the book, and I think I mentioned it in my Ted Talk, about this woman- this lawyer who learned how to meditate with me, and she lives in New York, very Type A person, and she was just like clockwork with her meditation. For a year she meditated every day; morning, afternoon, morning, afternoon. And then she came back to me and she sat in on a group where I was teaching new people how to meditate, and I was talking about how progress in meditation happens outside of meditation. Light Watkins: Yeah. And she said that, 'After a little while, when my husband was sure that the argument was dead and buried, he started to look at me like I was some kind of apparition or ghost. And finally I said, 'Honey, why do you keep staring at me like that?' And he said, shaking his head he said, 'Six months ago if we had that argument, you would have stormed out of the restaurant and left me in here,' because that was their pattern. Shawn Stevenson: There it is. There it is. Light Watkins: She said, 'You know what? I think you're right, Light.' And it's not something- she didn't come to meditation for that, right? But that's how it works. It's so all-encompassing when it comes to these benefits, that a lot of times people end up getting things from it that they didn't really anticipate. There's another quick story I'll share about this guy, he was in his sixties, came to meditate because he was having severe gastrointestinal problems. He went to go see an Ayurvedic practitioner who was going to prescribe him with different herbs and natural remedies, and the Ayurvedic doctor, which is the Ayurvedic- the Indian healthcare using natural approaches. And so he came to learn how to meditate, and he shows up at the room, and the first thing I have everyone do is take their shoes off. You know, and this is just a tradition from India. You know you come, there's a picture of my teacher's teacher. And so we made an exception, we said, 'Okay you can keep your shoes on, walk to your chair, and then take your shoes off,' which he did. So I ended up working with him, and didn't think anything of it. Every time he came, he'd walk to his chair, take his shoes off. And so the reason he didn't take his shoes off was because he had these corrective shoes. He said that about ten years prior to me meeting him, his feet- he woke up one day and he had this kind of metatarsal pain, and he couldn't walk without his corrective shoes. And I always suspected it was psychosomatic because no trauma happened when his feet got painful. He just woke up one day and it just kind of- a lot of us experience life, as we get older, we wake up and we get these little aches and pains that appear to come out of the blue. And so meditation has a really powerful way of unlocking that. But I can't tell what's going to happen when I see somebody. Shawn Stevenson: Yeah, of course. Light Watkins: I just know that when you have less stress in the body, there's a domino effect, there's a ripple and things tend to get better. Shawn Stevenson: That is a perfect segue to something else that I wanted to bring up today, which is the stress component. You know, this is usually when we think about stress management, meditation is kind of the thing that comes to the forefront, but again there's a lot of just kind of myths and misinformation about it. But stress, I don't think people realize- we've done shows on this, so I'll put one of the main ones in the show notes on how stress really can manifest in some serious issues. But a lot of people don't realize over 90% of hospital visits- physician visits today are for stress-related illnesses. And this is like- we're talking like the CDC is saying this. It isn't like Charlie down the street. Light Watkins: Charlie the naturopath. But actually those were his corrective shoes, you know? But it can manifest in that different way, and it's so- I think it's important for us to understand just how powerful our minds are to affect change in a positive way and a negative way, and oftentimes it's just feedback. Your body is giving you feedback to change. You know? And so another part of this- so what we're doing is talking about the inner execution. You know, working in, but also working out is important. And my man is fit, he does this thing we talked about before the show, doing the strength training, and having that coupled with- you know he's doing the yoga for many years as well. But we need to get those stimuli from different areas. And so for me, I'm a huge fan of functional training, right? So these things that really translate and make you better in all areas. So working with kettlebells, working with the battle ropes, working with the steel maces and steel clubs. And the company that really pushed this into culture is Onnit, right? And so now, like you see celebrities like Dwayne 'The Rock' Johnson using their kettlebells, like this big gorilla kettlebell. But they also do stuff- what I love about them is they make it- there's this little extra added dimension of coolness to it, because again falling in love with the process. What if it's just something cool that you- like I want to go grab this kettlebell because it's a Darth Vader kettlebell. They have Darth Vader kettlebells. Light Watkins: I just saw that the other day, I didn't realize that was Onnit that was producing those things. Those are amazing. Shawn Stevenson: See that secret? Shawn Stevenson: Yeah, they've got that one too. So any Star Wars fans in here? I'm asking the team. I knew my man right there. But here's the thing, so they've got Death Star slam ball, like medicine ball. You know, you've got those medicine balls, it's one that's the Death Star. It's so dope. Shawn Stevenson: Yes! Oh it's so cool. So guys, pop over, check out their training equipment. You guys already know I'm a huge fan of Onnit. You know their supplements, and they're doing a lot of things right. This is one of the few companies that actually does clinical trials, which is hella expensive to really test the efficacy. And so they've got that aspect with the Shroom Tech Sport, the Alpha Brain product, but guys check out their training equipment. I've got all kinds of good stuff in my house. So they've got the Star Wars partnership, they partner with Marvel. These companies don't just partner with anybody. You know? So they've got the Iron Man kettlebell, they've got Captain America plates for your barbell, www.Onnit.com/model. That's www.Onnit.com/model and you get 10% off all of that, alright? Exclusive alert, alright? Head over there, check them out, www.Onnit.com/model. So we've covered and we've traversed, you know? Even with these various myths. Light Watkins: There's a lot. Shawn Stevenson: We've got three, but I want to go through, I want to get these last two as well, so let's dive in. Light Watkins: Yeah so I don't have enough time to meditate. Shawn Stevenson: Oh yeah, that's a big one. Same thing with exercise. Light Watkins: Same thing with exercise. But even more so than that, you know there have been studies that have shown that meditation can reverse biological aging. Right? So obviously we have our chronological age, just the age of our physical body- or sorry, the age of how many age you've been on the planet, but then we also have a biological age which is how old the physical body- or how fast the physical body is aging in comparison to our chronological age. And what's been shown is that if someone starts meditating- let's say they're age thirty, and let's say they meditate consistently because consistently is very important. They meditate consistently for five years. So by the time they're chronologically 35 years old, biologically if they were 30 biologically at the start of meditation, at 35 chronologically, they would be in the biological age on average of a 23-year old. Light Watkins: Which means that the body is going to reverse seven years, in some cases up to twelve years, younger than they were when they started the meditation. Now what does that mean in the practical sense? It means you have the skin elasticity of the 23-year old version of yourself. So you have a lot of women out there spending a lot of money on anti-aging cream at these high end department stores, and guess what? The body produces its own anti-aging cream. It's called elastin. It's a hormone. And when you're living in a body that's very stressed, what the stress does, the stress chemical is doing, is they form this casing around all of the cells, and the receptors of those cells that are normally intended to receive those hormones like elastin or like the synovial fluid that keeps your joints oiled and moving fluidly, and the minerals and nutrients from all the wonderful organic farm-to-table food that we may consume. And instead it causes all that stuff to bounce off and not be metabolized properly, and we don't get the benefit from it. So the skin gets saggy, the joints get painful, and we may as well be eating McDonalds when it comes to eating- trying to eat high quality foods, we're not getting the nutritional value from it. And that's why, as you said, your state of mind is as important towards your health as what you're eating, and all the other wonderful things that we want to do and we spend our money on. So that's what's important about this practice. It's not a silver bullet, but it will lay a foundation so all the other things that we do, it'll get metabolized better, and you'll end up in a younger version of yourself as a result of it. Shawn Stevenson: You're getting time back. Light Watkins: You're getting time back. Shawn Stevenson: You're saying, 'I don't have time,' this gives you more time. Light Watkins: You're getting refunded back- just like on your taxes, you get refunded back some money maybe every year. Every year you meditate, you'll get refunded back a year of your biological age. And after five years, it levels off at about six months for every calendar year, you only age about six months instead of what everybody else is doing, which is aging about one to 1.2 years biologically for every calendar year. So there's a lot of benefit biologically when it comes to you making the time for your daily meditation practice. Light Watkins: You know that one. Shawn Stevenson: It's really fascinating. Man, of course. Because you know, this is the thing about I'm a very analytical human by nature, you know? I want to know why, I want to know how stuff works, and I want to know like the real practicality of it. You know, that really helps a lot with me doing the thing. And then what's so fascinating, why even with this show, we imbue it into the show, you start to open doors that you didn't even know existed. Shawn Stevenson: And just now- we're just now starting to try to figure out and explain some of these things. But I feel very joyous knowing that I've experienced it, but I also want other people to be able to walk through those doors and experience these things we can't even describe yet. And so again, this is one of the reasons I wanted to have you on. So we get refunded back the time. So one more, let's say one more. Light Watkins: Well you know, the last one that could be a little bit controversial, especially with the nature of what we're talking about now, which is the meditation studies. There are studies that are promoted these days that I think can also raise the level of what- of the expectation a little bit beyond what the average person experiences. You know, there are some studies that say meditation can help you reduce addictive behaviors such as smoking cigarettes, and things like that, or reduce your chocolate consumption. But again, from the field from what I've seen, there are people who have- are chocolate addicts, there are people who started smoking after they started meditating. Light Watkins: I know people who have anger problems as meditators. And here's the one thing that no study can ever show, is that whatever is being prevented as a result of meditation, we can't measure that. We can't measure prevention. Right? Light Watkins: So just because you may feel like you're backsliding in this way or that way that you read about in the study, it doesn't mean the meditation isn't working, because you will never know what could have been happening had you not been meditating in the first place. verbal fight where I was a meditation teacher at the time, and I got into this whole altercation with my girlfriend who didn't want me to leave the house, it was 2:00 in the morning, she wanted to talk about some stuff I didn't really want to talk about, and so I decided I was going to go back to my place because we didn't live together. And it ended up culminating in this thing where she was chasing me, I was trying to run away, and she was trying to get me to come back, and so she was chasing me, and this was like 3:00 in the morning in Beverly Hills. You have one of the top meditation teachers running full speed with his girlfriend right on his heels. Cut to six months later, we're still in the relationship, having these fights. And so if I didn't know what I knew, and if I hadn't seen what I'd seen working with other people who meditate, I would assume that, 'Well this obviously means meditation isn't working.' Right? You can't meditate and be getting into situations like this, much less teach meditation. Shawn Stevenson: Had a kid. Light Watkins: Yeah maybe the verbal altercation would have culminated into physical abuse, you know or something much, much worse. Or maybe we would have stayed together for ten years instead of just another six months. So we're not together now, she's a wonderful person. It ran its course, but not having the access to that spaciousness makes people become codependent in ways that you wouldn't want to be if your friend was telling you about their situation, you would see clearly, 'Oh that's a red flag, this is a red flag,' et cetera. But it's hard to see these things for ourselves if we don't have that level of space. So you know, meditation studies are nice, but we also want to default onto our own direct experience with, again, measuring progress and not beat ourselves up too much over the fact that we're not perfect because- I'll spoil the suspense for you. You're not going to be perfect, not even as a meditator, but what you will start to notice is that the lag time in between something happening and you correcting it is going to become shorter and shorter and shorter. And then eventually you get to this point where you're able to access what they call in India spontaneous right action, which is a fascinating concept, which means that you're able to cognize a solution, cognize meaning you're able to download- mentally download a solution, something that you have not studied before, something that maybe you haven't read about before. But it's an answer that just comes through you. And we've all had this experience where you say something or you do something that just feels like the right thing to say or do. Light Watkins: 'I didn't know I knew that,' exactly. Exactly. And that's what spontaneous right action feels like. Or 'I thought about this thing and then this person called me and said the thing that I was thinking about, and how wonderful.' It becomes this whole story line. But what if that was something that could happen all the time? And that's been my experience. And we talk about things like enlightenment, those are the accoutrements of what people refer to as enlightenment. It's not some mystical esoteric thing, it's just like you accessing your full potential, you being in a- you living in a way that allows you to channel these- the universal Google can come through you as these answers that maybe you don't have language for, but there's a feeling tone associated with it so when you see something that connects you with a solution, you recognize it. Right? We call it intuition, that intuition- that intuitive voice gets stronger, and stronger, and stronger. And so that becomes- that makes every day like an adventure. When you're able to tap into that spontaneous right action, every situation, every day, every moment can be a complete amazing adventure because you never quite know what's going to come through, and usually what comes through is something that's taking you into more of a direction of the unknown. You don't know how it's going to turn out, and that's really where you want to be. Light Watkins: That's where you want to be, man. Right on that edge because that's where the excitement is happening, you know? Shawn Stevenson: I love it, man. Light Watkins: So that's what meditation does, it takes you right to that space. Shawn Stevenson: Yeah. You know, the universal Google, I like that, man. I like that. So I just want to thank you for sharing that because that really is going to be freeing for a lot of people, whether they know it right now or not, in the fact that this is not about you being perfect. You've got this meditation practice, and now like you're not supposed to get upset, or whatever kind of thing that you would carry around. The reality is it changes your life in ways that you don't even realize sometimes, you know? Light Watkins: Yeah, you can't even know how it's going to change you. Shawn Stevenson: And you know, seeing yourself in that situation- first of all, I'm like picturing straight cartoon, she's chasing you. I'm like, 'What kind of love is he giving her got her running?' You know? And so- but it's so great to have people like yourself who are sharing their story. Like you know, I've got- even especially the ideas we carry of ourselves, you know? Like I am this person people are coming to for peace, but we still are going to experience times of unrest. We're still going to experience times of stress. We're still going to experience times of anger, and that's okay, but the difference is they no longer own you, you know? Shawn Stevenson: There's a distinction that takes place, you know? And I think that this is part of the gift that this brings. And so final question for you, man. What is the model that you're here to set for other people with the way that you live your life personally? Light Watkins: That's a good question. You know, I've come to terms with the idea that- well let me tell you a story. There was this bad Chris Rock movie that was out years ago, and where he was- his character was flirting with the idea of cheating of his wife. And there was this other woman I think played by Kerry Washington, who was supposed to be the seductress. Did you see that movie? Shawn Stevenson: Yeah, I did. Light Watkins: And so he ends up spending a lot of time wining and dining this other woman, not quite sure what he's going- if he's going to ultimately cross the line or not. Now I don't necessarily identify with that statement, but I like the template, and what I did was I heard that and I said, 'You know what? This is kind of like what it means to chase consciousness,' right? When you make expanding your inner consciousness, that inner space, your priority, you're never going to lose the things that you think you want to have in life which could be abundance, which could be love, which could be influence, or inspiration. And if you try to chase abundance, then you're always going to end up losing something else. If you try to chase relationships, you're always going to end up losing something else. So it helped me understand my priorities. And he said, 'The ability to discriminate.' Right? Now obviously there's a bad interpretation of discrimination, but what he meant was the ability to prioritize, to know what's most important, what's second most important, what's third most important, and so on at any time. And here's the thing, you can't just know that for one moment in time. Right? The landscape changes, so what's most important in this moment may be second most important five minutes from now. So you have to have a level of presence to be able to determine the priorities as they change from moment to moment. Right? And so where's the consciousness in this moment? It may not be in the same place as it is in the next moment. So that's what I've been able to experience from my inner work, and that's why I make my inner work a priority, is because it allows me to attract all the other things that I enjoy in my life. You know, I'm not a monk, I like relationships, I like abundance, I like going on trips, I don't like having to worry about money. And so when I take care of the most important thing first, it sets the foundation for all the other things, so then I don't have to lead with a sense of desperation when I'm going into a business deal thinking that if this thing doesn't work out, then that's going to mean the end of the world. I already know that I have everything I need right now, I'm as happy as I can be right now. So whatever happens here is what's supposed to happen. I'm going to work hard, and I'm going to do everything I can to make sure that my interests are properly represented, but if it doesn't happen even in spite of all that, then that means it wasn't supposed to happen, and that means that there's another opportunity in the next moment, and so I'm going to keep my eyes focused on those other opportunities and not on what's not happening. So that's- again that's the symptom of the spaciousness that gets created. And I want to be the inspiration for that. I want to just- when people meet me, I want to hopefully embody some of that, so that they can say- because this is what happened to me. When I met my teacher, he was- I would consider the happiest person that I've ever met. And he wasn't sitting there with a smile plastered on his face, he just was content. It was like he didn't care whether or not I worked with him, he just made himself available, he was radiating a sense of inner peace that I had never witnessed before, and I knew at the moment I want that. I want other people to feel like that around me. I want to help other people feel like that, so that when they're out in their corner of the world, other people are attracted to them, and they can recognize that there's a quality of presence there that I've never really seen before. 'What did he do to get like that?' He meditated. 'Okay well then I need to start meditating.' And that's how meditation is spread. Shawn Stevenson: Yeah, man love it. Love it. Can you let everybody know where they can find your book, and also where they can connect with you online? www.LightWatkins.com website. So you can find my book there, 'Bliss More,' you can find my talks, my events that I do- the Shine events that we didn't really talk about, but it's something that's happening around the world now, which is amazing. Inspirational- live inspirational variety show events. And I also write this daily dose of inspiration every morning where I just basically send out a little snippet of some anecdote, or parable, or story, or something that happened to me that I found inspiring, just to help people start their day with a little bit of- a little nugget of inspiration. And I send those out that every morning, you can sign up for that at www.LightWatkins.com as well. You can follow me on social media @LightWatkins. Shawn Stevenson: Perfect. Man, thank you so much for sharing your gift. Thank you for putting this together, and packaging up everything. It's truly- this is an enlightening experience talking to you, man. Light Watkins: Thank you. Thanks for having me. I'm so- I'm not surprised everything worked out, but I am amazed. I'm amazed that we brought it all together, and it just feels like it was all meant to be, so thank you. Shawn Stevenson: Absolutely, man. Yeah, it's my pleasure. And dude, just keep doing your thing. And so one more reveal, reveal alert, we've got to do it real quick. When he's talking about getting time back, you know I was really surprised when I found out your chronological age, man. So you've got to share that. Light Watkins: Yeah, 44. I'm 44. I'll be 45 this year. Light Watkins: Twenty years of meditation, man. You know? Shawn Stevenson: It's amazing, man. And thank you for being the example, and giving people permission today to enjoy it. Light Watkins: It's so important. Shawn Stevenson: Light Watkins, everybody. Shawn Stevenson: Thank you so much for tuning into the show today. I hope you got a lot of value out of this. 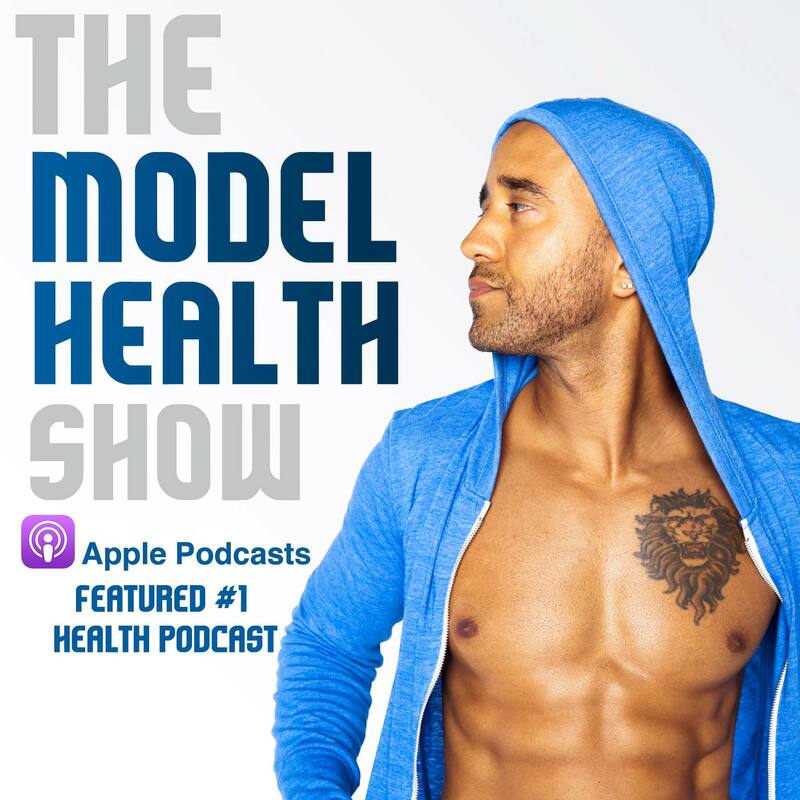 Listen, everything that we do here on The Model Health Show has an underlying purpose, and I want to provide you with the very best tools possible to be the best version of you. And this is one of the tools that has been around literally for thousands of years that at no other time in human history do we really need it more. And getting to access this is as simple as saying yes, and as simple as making it a priority to practice. And again, there's many paths to the goal, there's many different types of meditation, but I really feel that Light has put something together that is very accessible for all of us. You know, I think it's a really great on-ramp. And also even if you're an experienced meditator, and you've been kind of all over the map with it, I think that you'll get a lot of value out of it. And there are some specific threads of truth that ring true that we've covered here today, and that's just a little slice of what he has to offer. www.LightWatkins.com. And listen guys, it's our opportunity right now. You know, you've got the opportunity to really open up new doors. You know, this is a new slate, a new clean slate this year, and you've got so much in front of you. But in order for you to execute on what's possible for you, you have to take care of yourself, and this is a big part of that self-care is having a practice of meditation. A way for you to really tune in and hone in on your inner world and your inner gifts. Alright? Every single day, this is part of like getting that inner game together for me. I meditated today, you know? Every episode of The Model Health Show that we've done thus far, I've meditated that day. You know? And I just truly feel it's a really powerful tool. We've talked about the science, we've talked about the application, we've talked about how it bleeds over into the rest of your life. So I hope that you got a real big insight on how valuable it is. Now it's up to you whether or not you choose to take it on. You know, and that's the great gift. We've got all these various tools at our access, and we get to pick, you know? And so I appreciate you immensely, and we've got some amazing absolutely mindblowing guests and show topics coming up for you, so make sure to stay tuned. Share this out with your friends on social media, Twitter, Instagram, Facebook, all that good stuff. And of course make sure to tag me. I appreciate you beyond words, alright? Take care, have an amazing day, and I'll talk with you soon. Amazing chat with Light. I meditate regularly 10-20mins each day, but felt I meditated for over an hour listening to Light. The guy’s calmness, humbleness and what he models oozes out and shows. Man, thanks for this! and keep on the great work.